Many years have passed since I read A Tale of Two Cities by Charles Dickens. 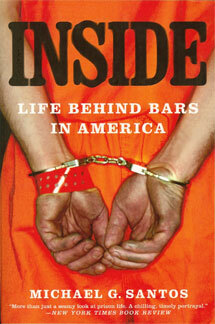 When I read the story, I was locked inside the impenetrable walls of the United States Penitentiary in Atlanta. I was in my early 20s then, and staring down the long end of a 45-year prison sentence. A character from that Dickens novel inspired my adjustment. The character’s name was Dr. Manette, as I recall. Dr. Manette, if that is the correct spelling, had been a physician before political leaders imprisoned him in a notorious Paris prison known as the Bastille. The doctor had been locked inside the prison for 17 years, and during that time, he lost his sanity. I knew that my own prison term would require me to pass many years in prison, and I wondered then how the decades would influence my life. I did not want to lose my sanity. Now I have more than 22 years of imprisonment behind me, and I’m scheduled to serve only a few more. I feel as if the adjustments I began making from the beginning of my confinement have prepared me for the challenges that I am certain will accompany my release. I am educated now, I have skills that will translate into a satisfying career, I have a strong support system, and I have created many resources that I can draw upon to ease my transition. The irony is that I feel as if the system of “corrections” discourages the efforts I have consistently made to prepare for a law-abiding, contributing life upon release. I feel as if the system of corrections wants to influence more prisoners to adjust to confinement in ways like Dr. Manette; the system is designed to condition failure rather than success. That’s why I feel a duty to bring the issue of prison reform to the attention of American citizens. We need prison reforms that will offer mechanisms through which prisoners can earn graduated increases in freedom through merit. Rather than discouraging those who strive to prepare for the challenges that await release, prison reforms should encourage proactive adjustments with meaningful incentives. Such prison reforms would lower recidivism rates, lower taxpayer expenditures on corrections, make society safer, and encourage offenders to prepare for law-abiding lives.